Was 2017 a better year to be in the food business than 2016, and who made it through? Our annual round up of places gone but not forgotten this year seems bigger than ever. The changing nature of Sydney has always been fast, but 2017 seemed ultra accelerated. Sydney is under massive renovation, with large blocks in the central CBD torn down or waiting to go. This has meant massive closures of eating places or the impact of construction contributing to places choosing to shut up shop. The CBD is not the only area - strips in suburbia are undergoing enormous new developments, with large apartment blocks going up in main street Ashfield, Lakemba, Parramatta, Campsie and more. So our list is by no means exhaustive, it was simply just too exhausting this year to keep up with everything that has gone. The next stage of course is what replaces these closed businesses? We see more and more homogenisation of food courts, chain stores in shopping districts (both local and overseas chains) and the reduction in the individual, small business owner mum and dad stores that mean fascinating and different food to try. It's the spread of an aesthetic that just makes everything look and feel the same that gets in our craw. We have also seen more older stores closing, community connections changing and the smaller places getting closed out by the demand for shiny and new. Sometimes folks just get old and the place starts falling apart (we hope the Olympia Milk Bar gets rescued or restored in some way) and they need to close. Next year we feel a mission coming on, to visit these older, established places more and more, before they go too or get blitzed into something that could be anywhere. We want to see who's surviving, not just who is shiny and new. So here's some of the places we've noticed closed over the year, add any others you know of in the comments below. This year entire blocks of shops were demolished in the CBD, resulting in so many closed places. The block along Park St between Pitt and Castlereagh, including McDonalds, a kebab joint and the Old Windsor Hotel all have gone. 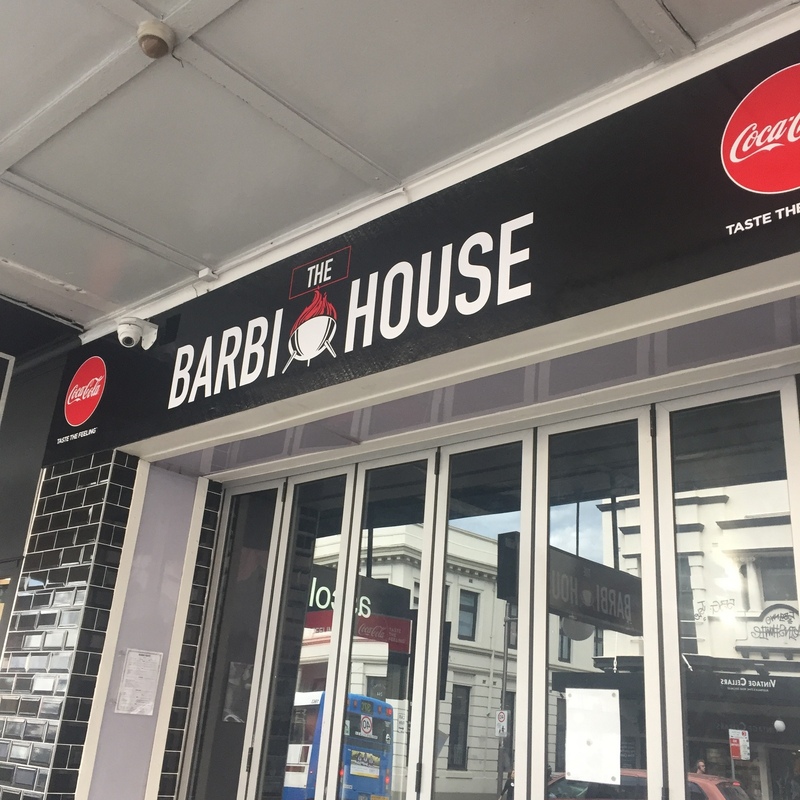 The block of shops along Bathurst St between Pitt St and Castlereagh including Encasa Deli and Sushi Hotaru and the big pink chemist are gone, they have been resumed due to the new Metro project. Wynyard Station closed nearly every single store in its entry ways and underground passages leading to Hunter Connection, including La Vie, Little Vietnamese (which moved to Hunter Street), Hungry Jacks, McDonalds, the weird bar that used to be the Test Tube Bar, sushi stands and more. Hard luck to location scouts who want to find a Sydney of the eighties, nineties or even noughties to film, it has all changed so much. In the Pittsway Arcade at Town Hall Soup n Rolls is now Chloe’s Vietnamese and Vincent BBQ is now Hong Kong BBQ. Yummy Kitchen has closed and a new sushi shop is opening soon. Taste Baguette has gone outside Myer, Forbes Hotel has closed and Yummy Cuisine in Martin Place Plaza closed, apparently due to Metro work. Huang Tai Ji Jian Bing closed, we loved their half serve with a soy milk. Along Liverpool St Mamma Maria's is now Pappa Rich and Kent Street Bistro was Belly Bao and is now Bao Taiwanese. Capitan Torres has gone (the Spanish Quarter has firmly ended). Dragon Boy has gone from World Square. Alice’s Makan in the HSBC Centre announced they were going to retire on 8 Dec but have now decided to stay open. In Thainatown Plern Thai on Pitt St, Mahanakhorn on Castlereagh St and the Thaitown Convenience Store near the Capitol Theatre have gone. Construction around Chinatown and the new Darling Quarter which replaces the old Entertainment Centre has been going gangbusters. The impact of the building of the tramway along George St could be a factor in some of the closures, we haven't seen places in Chinatown as busy as they have been. Chinatown itself is in the verge of renewal with the sale of the building that housed Hingara Chinese Restaurant Live Crafts Centre Tea House which sold for close to $20M. The front facade of East Ocean Arcade is about to undergo a development, with the Norgen Vass ice cream shop already closed. We fear small operators are just going to continue to be priced out of the area. Satang’s Thai Terrace (now Thai Terrace). We were deeply sad to see Minh Hai Famous Salted Chicken close on George street and sister store MH BBQ has also closed on Hay Street. They still have a stall in the Sussex Centre. Also sad was Podomoro, one of the only Indonesian places in the city, closed to become Noodle Pot. On the outer edges, Hawker is now a Korean fried chicken place, Square Noodle is a T Plus Taiwanese, and the old time Haymarket Chinese Restaurant is undergoing change. My brothers took me there in the eighties for a cheap meal before concerts at the Entertainment Centre. 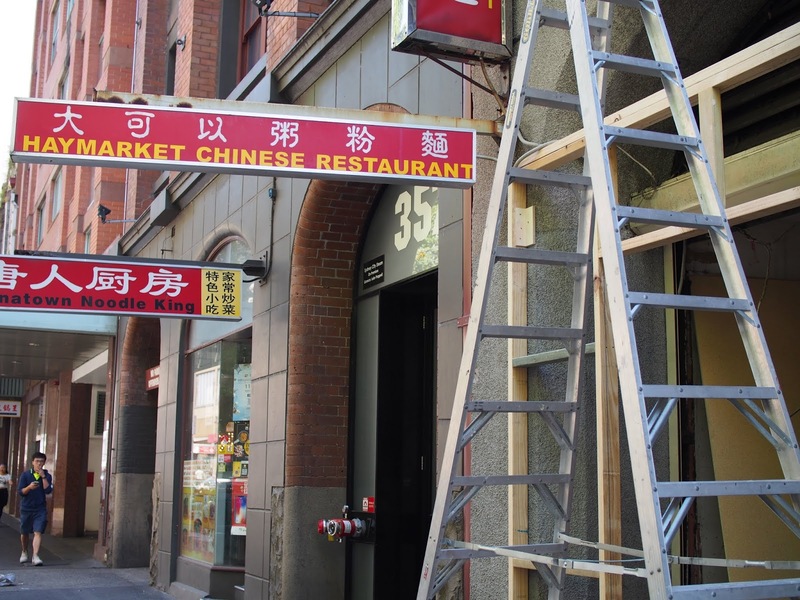 Our hearts are closest to the food courts of Chinatown, and this year has seen quite a few closures. Hong Kong King's Chef Kitchen became Yunnan Style Cuisine which has also closed and is now a classic Cantonese joint called Yummy Cuisine. Sydney Foodie Station and the short lived mala tang stand closed. Zhou Mum, such a great Hunan style and homestyle Chinese, will be sorely missed by us. Tomo's Washoku Japanese, we loved their chirashi bowls. Face To Face, closed, opened then closed again. With the closure of the entire third floor foodcourt there were a number of closed stores and a shiny new food court opened on Level 1.
and 100% Juice, Market City Food Court Bar, R&S Flavour of North India and even Leonardo's Sandwiches. Other places next to the food court also closed like Takaru Poporo and Nandos, while some stalls on Level 1 also closed in the renovation include Asakaze, Pho TK, and Rotikon, and the fish shop and butcher. Oden House has changed over to another Taiwanese style place. Newtown Social Club, to become Holey Moley golf bar. Also, hang in there Goulds Book shop. We weep for the closure of New Addison Chinese Takeaway. It sustained us when we lived close by many years ago. Hopper Kade at Tramsheds, news on a new location for 2018 coming soon. Nags Head pub had a makeover, opening up the whole back area and improving the upstairs. The Vic on the Park sold to Merivale, wait and see what happens there. Two small time fruit shops along Illawarra Rd near Warren Rd have closed, more small business unable to compete. Palace Trader, the business inside the renovated skate rink now a cafe. Hijazi's Felafel, this one is a really sad closure. Oh those cauliflower rolls. Fuska House, we loved the liver here. This year we lost some very fine four footed friends. 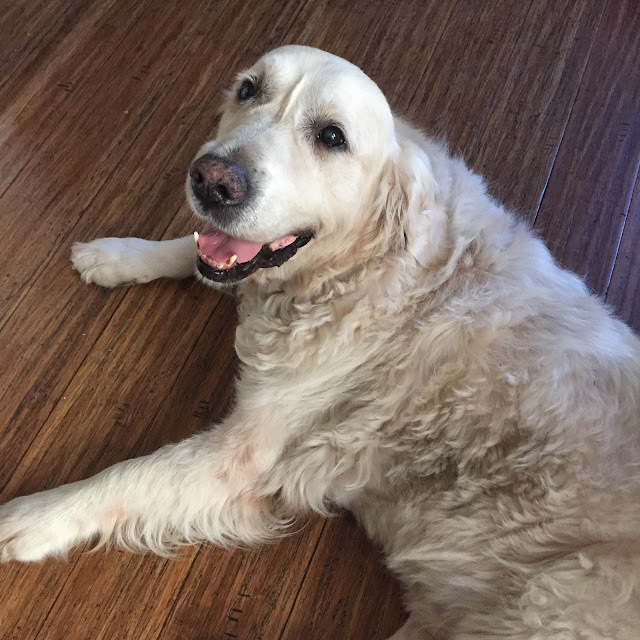 Indy was a lovely boy who loved a great bushwalk and a grand adventure just like his namesake. 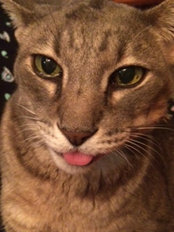 Dave the pussycat had a good innings, he was truly a loved cat. Watching the Bulldogs with wine and pizza just isn't the same now. Flynt, well Flynt was more like a furry nephew than just a golden retriever. If they ever allow dogs to be recognised as family members he would be legalised in an instant. May you be getting all the constant pats, toast ends and attention you deserve Flynty boy. I'll miss our cuddles on the lounge. Grant Hart (Husker Du) was a sad loss, memorably announced to us via the noticeboard on the front of The Mosh Pit (thanks guys, we appreciated that). Holger Czukay from Can was another sad loss, we've had a Can fascination for some time that keeps growing. Lastly, this whole post is dedicated to one of my best mates, Kathleen, who never got a chance to tell all the stories she wanted to share. If there's been any better motivation to get out and do what you love 'cause life is short, then thanks for that inspiration. I'm sorry we never made it to Kebab Al Hojet together. Anyway, in the last week of 2017 i thought i had lost this place forever. They occasionally close a bit early and sometimes have been closed for a whole day but there has always been a friendly note. But this week there was nothing, just the haunted, ghostly feel of a place that had once been lively now empty for no apparent reason. I quickly tapped it into google and the dreaded words in red 'PERMANENTLY CLOSED' appeared. I got angry. I felt like walking the short 100m back up the road to where the line of people waiting to get into New Shanghai clogged the footpath as usual and berating everyone for not being adventurous enough to risk trying any of the numerous smaller places in the vicinity and instead just queuing at the shiniest one. But i didn't and there seemed no point. I would just have to live with the memories. ps- i'm writing this on work time so if it seems excessive, it's mostly to kill my own boredom on a dull Saturday arvo.